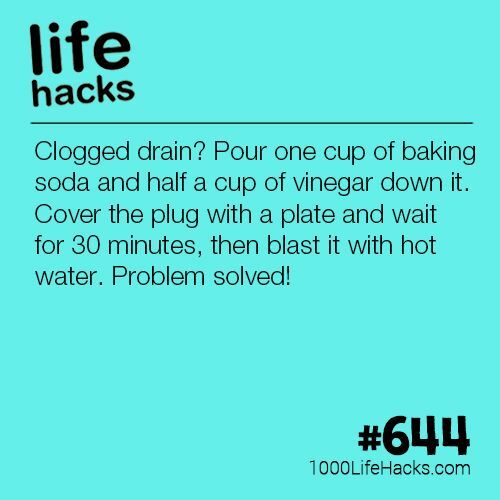 Clogged Drain? Pour one cup of baking soda and half a cup of vinegar down it. Cover the plug with a plate and wait for 30 minutes, then blast it with hot water.